Cassava & potato starch and cassava flour drying. 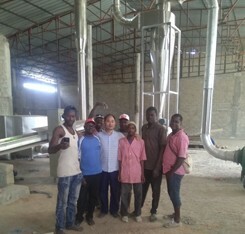 Airflow flash dryer, cassava starch drying machine, cassava flour drying machine for cassava starch and flour processing. 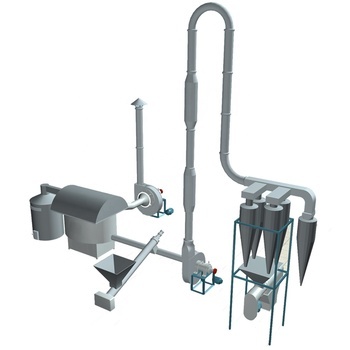 Widely used for the drying in starch, modified starch, medicine, food, chemical industry etc particle materials. 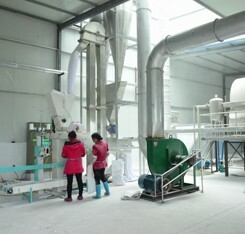 Starch factory at present normally adopt airflow drying (also called flash drying), the whole process time are completed in an instant, so the internal moisture of the starch granules have been dry before gelatinization, the pasting or degradation phenomenon will not occur. 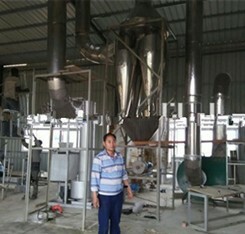 Airflow drying is cocurrent flow drying process, namely, the cocurrent flow of wet powder material and the heat flow, consists of heat transfer and mass transfer process. When wet starch with the hot air in contact, hot air transfer heat to the surface of the wet starch, again from surface to interior, the process is the heat transfer process; At the same time, the moisture in wet starch diffusion from the material inside to the surface of starch by liquid or gaseous, and then diffusion into the hot air from the starch surface through the gas film, it is a mass transfer process. 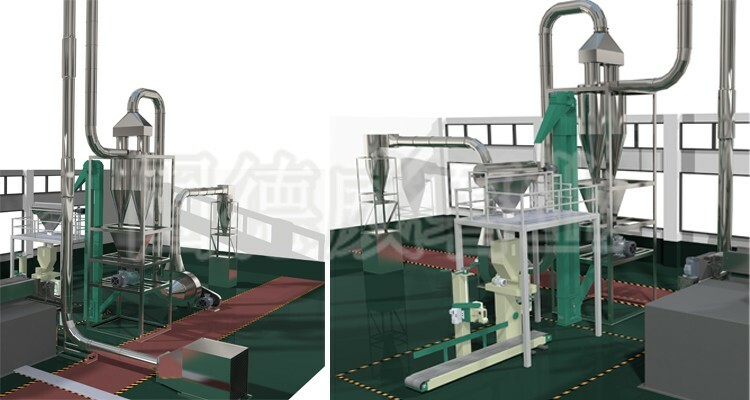 By the high temperature air and wet starch balanced heat exchanging in the drying tube, the drying starch become dry powder, and then packing and warehousing after cooling. (11) We do not offer bags for packaging, the weighing scope is 5kg-50kg adjustable.